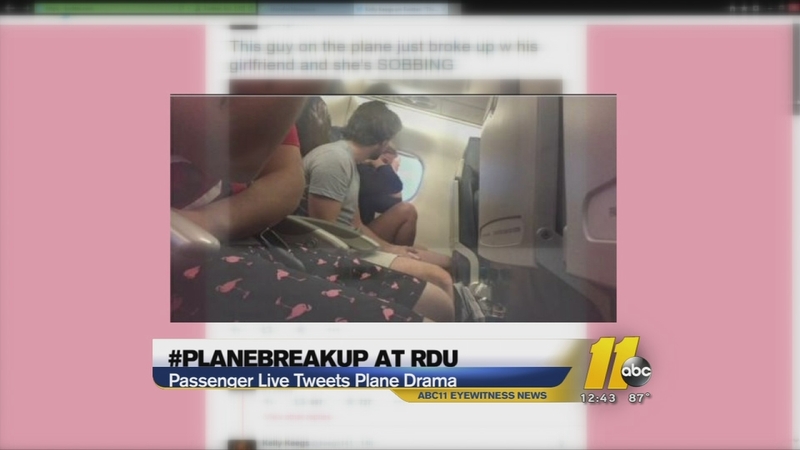 RALEIGH-DURHAM INTERNATIONAL AIRPORT -- A couple's emotional breakup while on a delayed flight from Raleigh Durham International Airport went viral over the weekend. It started when a fellow passenger live tweeted a play-by-play Sunday night. Between the arguing and the sobs, the drama seemed to ensue. However, as the plane took off, the couple seemed to reconcile. It is unclear if the couple was back together when the plane landed. #planebreakup was trending on social media.